One of the biggest moments in everyone’s life is becoming a parent. When a new person enters your life, it’s a big thing and you have every right to be nervous. But, too much anxiety is never a good thing. It can only do harm to both the parents and the baby. This is why we’ve decided to help new parents overcome this feeling and enjoy every aspect of parenting! Here are 5 tips that will help you take care of your infant properly. 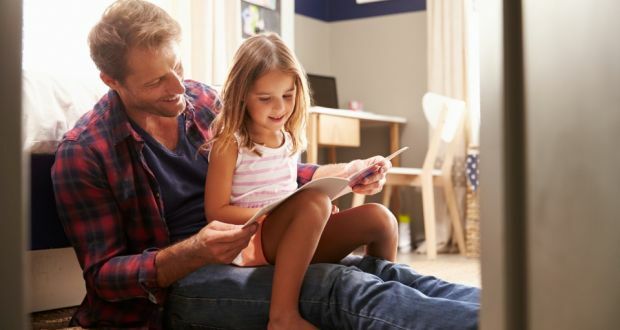 Hopefully, they will make you understand that parenting is not a boring obligation, but a fun opportunity to raise a child to become a good person. The period when the baby is still in the infancy may be the best time of your life. But, you are the one who decides that! So, do not focus on unpleasant things, such as changing the diapers, waking up at night, etc. Instead, think of the pleasure that comes with taking care of another human being. Taking care of the baby is a great responsibility, but it doesn’t mean that you can’t make it fun. There are some small things that will lift up your mood even if the baby has kept you awake all night. You can treat yourself with your favorite food; listen to your favorite music, etc. A thing about infants is that they sleep a lot. In fact, newborns usually sleep about 16-17 hours each day. What this means is that you will have plenty of time for yourself. Still, you need to hang around to keep an eye on the baby, but this doesn’t mean you can’t do things like yoga, book reading, watching a movie, etc. In fact, it is very important to keep your spirit up! If you are not feeling happy, you can’t expect your baby to feel any better. The solution is to start treating yourself better. The fact that you have a baby doesn’t mean that you must give up on things that make you smile. This can be anything from reading a good book to watching a movie, to exercising and socializing with friends. Those simple things do not take too much time, meaning that you will still be there if your baby needs you. Although not time-consuming, these things will make you feel better. You will recharge your energy levels and make yourself ready to deal with the challenges that parenting brings along. Parenting is not easy – it’s a fact. But, this is something you need to endure in order to raise your child properly. Still, if taking care of the baby is taking a toll on your health, you need to give yourself a break. If you have someone you can trust to take care of the baby, you can have some “alone time”. This will help you refresh and recharge your energy levels. Even just as much as half an hour every day can help you a lot. If you feel that taking care of the baby is causing you to feel bad, either physically or mentally, the solution is to ask someone for help. We’re not just talking about friends and family, but also about professionals who specialize in this subject. Did you know that there are parenting classes that you can enroll if you want to learn how to take care of your baby? If enrolling such a class doesn’t seem like a good idea, you can always ask your pediatrician for an advice.